Looking for an escape from this cold and dreary winter? Check out my paranormal romance, Finding Hope! 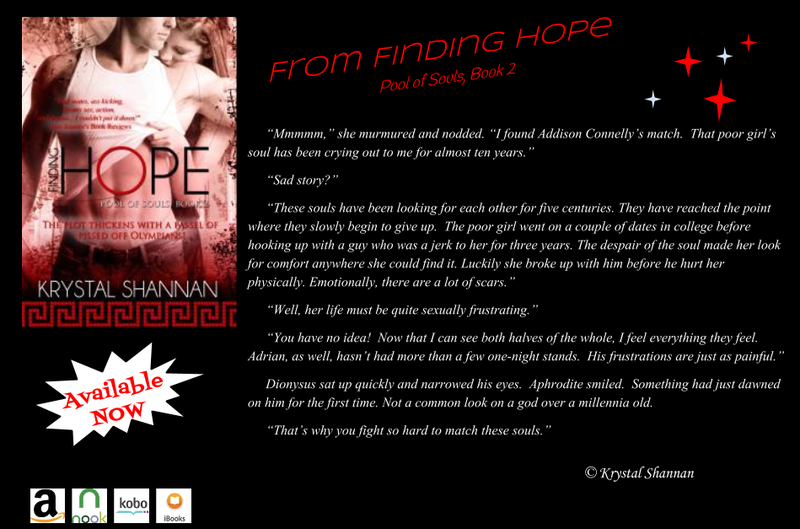 Finding Hope is the second installment in my paranormal romance series, Pool of Souls! If you have not read it, you can buy it any of the below retailers!